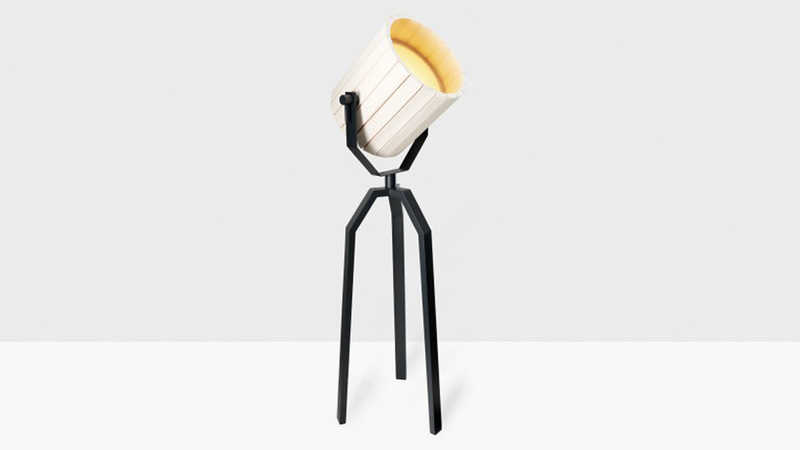 The design of the big barrel lamp was inspired by the aesthetics of WWI searchlights. 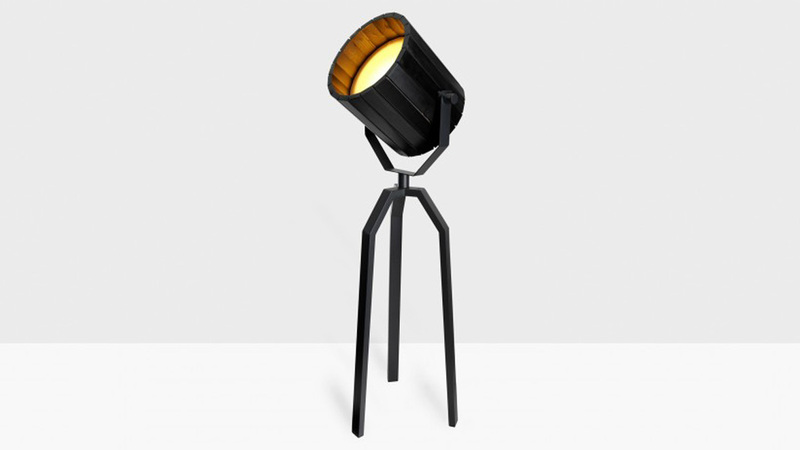 Now more friendly but still a strong and sturdy shape that provides a steady source of light in any type of space. It is crafted out of wood and steel.